The 10th Heilbronner Stimme Company Run broke all records. With approximately 7,500 runners, the Heilbronner Stimme Company Run was completely sold out. After less than 3 minutes, all starting positions were taken. Also in terms of temperature, this year’s company run was on record. With crisp 30 degree evening sun the starting signal for the jubilee Heilbronner Stimme Company Run was given. 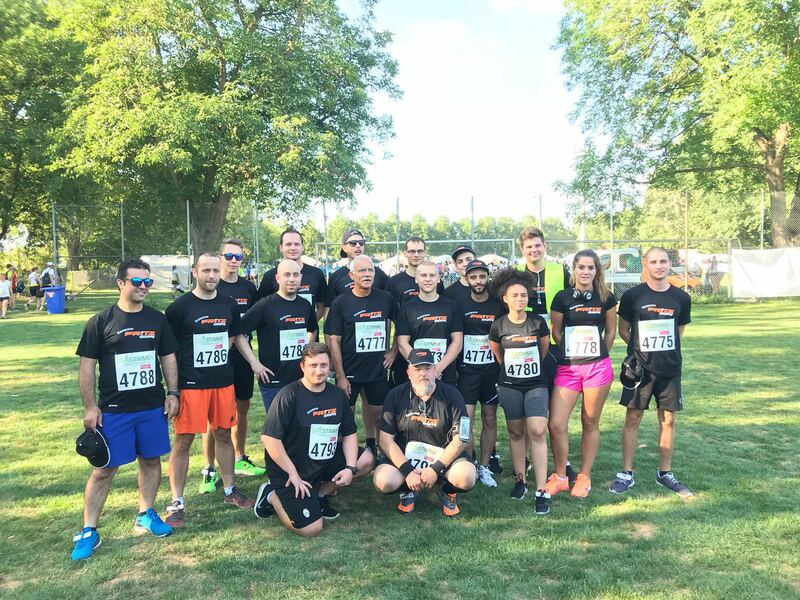 In the midst of it our highly motivated teams: Run4moreFun, Run Fourrest Run, Flitz Gruppe, B2Run, Speedmaster, Running Wonder 4.0 and Sitz Gruppe. And our teams lived up to their name. With super individual and overall times, the runners crossed the finish line confidently. Which was a real masterpiece given the almost tropical temperatures. Congratulations and our full respect for this great achievement !!! But most important: All runners had their powers correctly estimated and paced and broke well and happy into the home stretch. In a good mood and admirably fresh, after the 5.75 km run our “heroes” returned to our Fritz Group meeting point for a cozy “after-run meeting”. Sportive performance, team experience, goose bumps, when 7 500 runners start “at the same time” (you really have to have experienced that), a cozy get-together, we were able to experience all that during the company run. Thanks to all runners for their great commitment and also many thanks to the “non-running” employees who were on site and supported their colleagues loudly. Our very special thanks also go to the runners who helped out for our “shortfalls” at very short notice and having sensational run times also. Speaking of “Sensational Run Times”: Best runner of the Fritz Group with a time of 00:26:59 is Mr. Jochen Liebendörfer. Best female runner of the Fritz group is Mrs. Peggy Klotz with a great time of 00:34:04. Chapeau !!! We look forward to the starting shot for the 11th Heilbronner Stimme Firmenlauf 2019!